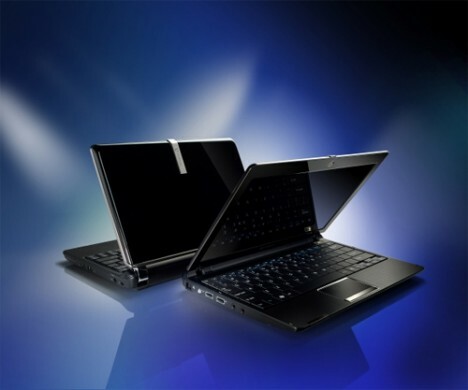 One of the leading electronic company, Acer has announced its new Acer LT3000 netbook in Japan market, which comes equipped with Atom Z520 processor at 1.33GHz. However, even after using the extremely power-frugal processor like Z520, its battery operation time can last just up to 3 hours. Acer LT3000 features with US15W chipset and a 11.6-inch widescreen display with 1366 x 768 resolution as oppose to the typical smaller sizes of netbook screen to provide better comfort while reading and browsing the Internet. In addition, the Acer LT3000 also comes with a 3-megapixel built-in webcam, integrated with 160GB of hard drive, 1GB of memory to enhance the multimedia experience, and an ergonomic keyboard for easy to use. Apart of that, it also has built-in high performance 2 channel stereo speakers, three USB 2.0 ports, multi-card slot, built-in 802.11b/g WLAN card, Bluetooth 2.0 and preloaded with Genuine Windows XP Home Edition. Acer LT3000 has dimension of 258.5 x 184 x 26.4 mm and weighs only 1.25kg (with 3-cell battery). The netbook is now available for the price of 65,000 Yen Japan ($685).